I think that the new Review Tasks is an excellent idea to clean the system of duplicates, dead questions, low quality, etc. I have noticed while reviewing, that some answers have already been recommended for deletion by other users, but are still showing up. Is there a reason for that, because there is no sense in doing it again, since it has been done. What are the reason(s) for that, and could it be a bug? 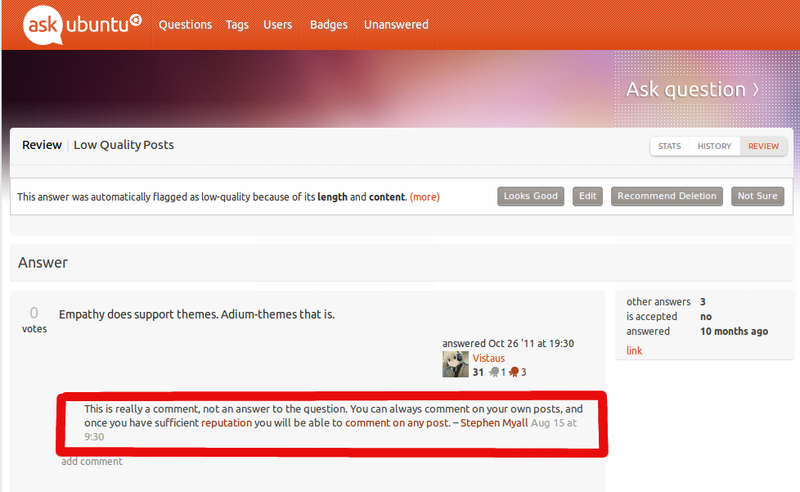 Plus if an answer has already been looked at, and it is done by another user, why does it still show up in the queue? Also, I have recommended deletion on some answers, as comment only, or just a link, and I have gotten back from other users, that I was wrong. I really appreciate those users' comments, because it's a learning experience. The reason behind my choices, that what's available. Because sometimes the best choice is no comment, but I don't think that's fair to the user. I think the list of choices should be expanded to include something like, short answer, try to expand, or answer format is wrong. I mean I don't mind doing the editing, but just to really explain to (specially new uses) what is expected from them. Because not everybody reads the FAQs. Something I have to add is that, sometimes you look at a flagged question, and you see a link, so you approach the choice that says that this a link, and it should have more info than just the link, but you realize that its not a link, but actually an answer to the question, and sometimes a good one, but unfortunately, you can't go back, and fix it. So maybe the ability to go back might be something to look at, so better decisions can be made. I know that I did these mistakes, and I'm thankful for the members who commented, and help me see that there are better choices, and better (simple) ways to make an answer look a lot better. So I hope that we all can keep helping each other, so this can be a great site. Also since there seem to be a lot of duplicate questions, and questions that need to be closed for other reasons, why can't we have more close votes, or get those back at a shorter time (16 Hours fro me). Plus if an answer has already been looked at, and it is done by another user, why does it still show up in the queue? Everyone makes mistakes so the system makes it so that multiple people review a question, sort of like how it takes 5 of us to close a question. Because not everybody reads the FAQs. We have reusable comments that we can reuse as a browserscript: What prewritten Pro-forma userscript comments can we use and share? This will save you a ton of time with adding comments that point people in the right direction. I agree with your feedback of wishing you could go back to something you just reviewed, you should post that feedback on meta.stackoverflow.com so the developers can see it. Not the answer you're looking for? 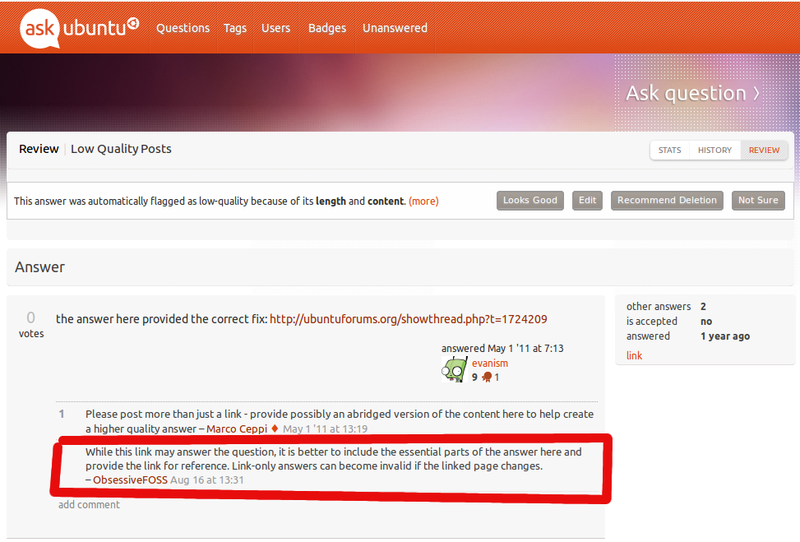 Browse other questions tagged discussion feature-request review-beta .